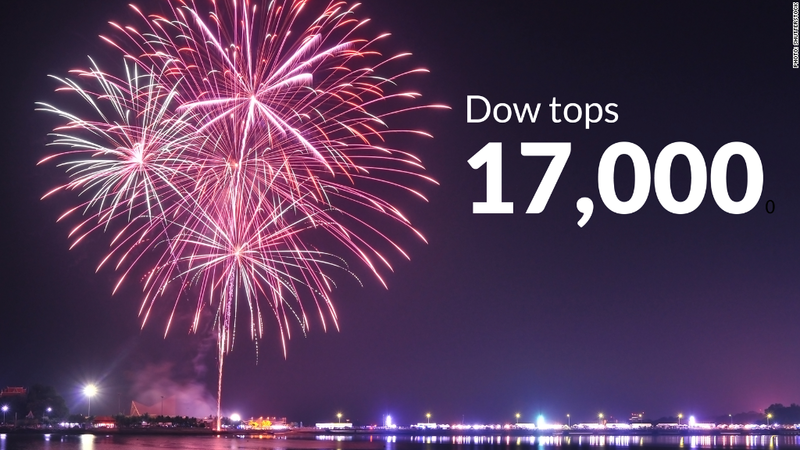 Time for fireworks: Dow tops 17,000! U.S. stock markets closed at 1 p.m. Thursday, but they got the fireworks going early. The Dow finally hit 17,000! Many see it as just a psychological threshold, but it's a level U.S. stocks have never seen before, and it comes a mere six months after the Dow crossed 16,000. All three major indexes closed higher Thursday. The Dow Jones Industrial Average finished at an all-time high of around 17,068 (up nearly 1.3% for the week). The S&P 500 also closed at a record level, hitting 1,985 for the first time. The tech-heavy Nasdaq Composite rounded up the week up 2%. Jobs Bonanza: A strong June job reports drove the optimism in the stock market. The U.S. economy added 288,000 jobs last month, and the unemployment rate fell to 6.1%, down from 6.3% in May. That was much better than economists or Wall Street expected. Treasuries react to jobs report: The bond market is moving to sell after the jobs report and Federal Reserve chair Janet Yellen's comments yesterday that the central bank will not use interest rates to pop any potential bubbles in the markets. Bond yields are up to 2.64%, a sign of the improving economy. Gold investors area bit skittish, with the precious metal's price dropping nearly 0.75% to around $1,321 an ounce. Bow Wow -- PetSmart stock spikes: PetSmart (PETM) shares were howling at the moon, up 12.5% after hedge fund Jana Partners announced a 9.9% stake with intentions of exploring a sale of the company. In other moves, embattled clothiers American Apparel (APP) and Lululemon (LULU) traded higher. Shares in the two are finished nearly 5% and almost 3% higher, respectively. There's a lot of news around American Apparel, where Reuters reports that former CEO Dov Charney has handed off his stake to hedge fund Standard General. The Wall Street Journal is reporting that former Lululemon chair and founder Chip Wilson is trying to take the company private. 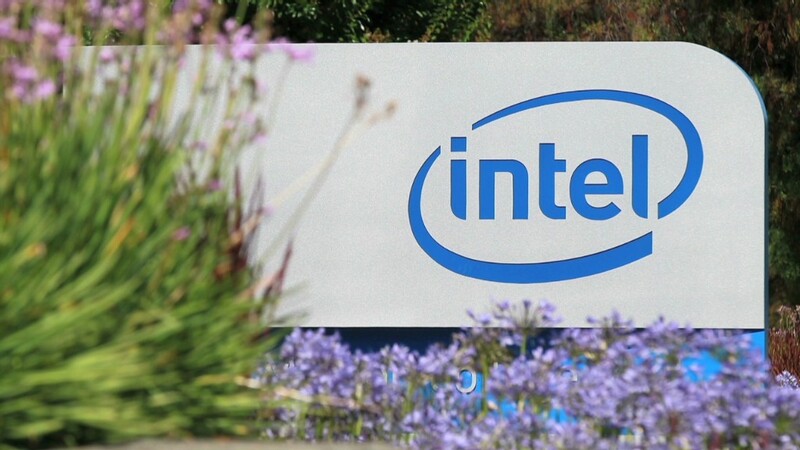 Intel (INTC) shares are up 20% so far this year, making it the second best performing stock in the Dow. Independence Dog: It's also fun to note that Nathan's Famous (NATH)hot dogs, sponsor of Coney Island's annual July 4 hot dog-eating contest, is a publicly traded company. The stock is down slightly Thursday, but it's up over 7% so far in 2014 and has truly been a "top dog" in recent years. Overseas Markets: European markets are were higher in afternoon trading, with the FTSE 100 up more than 0.7%. Asian markets were mixed, and Australia's stock market jumped a nice 0.7%.